Are Your Fingers Sore From Playing Guitar? Don't Give Up. Lighten Up! Fingers Sore From Playing Guitar? Don’t Give Up. Lighten Up! Got sore fingers from playing guitar? You’re not alone. For new guitar players, sore fingertips can be pretty demotivating. In fact, I’ve met people who quit guitar after just a few months of trying, simply because the pain was too great. Switch to really light guitar strings. And not just standard “light” strings–I’m talking really, really, exquisitely light guitar strings. They’re not well advertised, so I’ve decided to track them all down for you and put them into this blog post. These light strings are what I recommend every new guitarist start with. Once you’ve built calluses and hand strength, or your pain has subsided, you can move up to a heavier gauge, if you’d like. POLYWEB vs. NANOWEB: The difference between these is tone and feel. NANOWEB coating is going to sound and feel more like traditional, uncoated strings. They’re crisp and bright, and the coating is so thin you’ll barely notice it. POLYWEB has a warmer… “played-in” tone and the coating will be slightly more noticeable under the fingers. Will My Guitar Tone Suffer? If you’re worried about your tone, don’t be, because big names like Billy Gibbons, Tony Iommi, Jimmy Page, Jeff Beck, Peter Frampton, and others all use these really light string sets. You can be picky about your tone later, after you’ve built up your finger calluses or your hand pain has subsided. Your first priority should be your health and comfort, and this is where really light guitar strings truly shine. However, they aren’t without their faults, so you should be aware of some potential tradeoffs before you run out and buy a 12-pack. The keyword here is “potential.” You may not actually experience all or any of these. It’s a fact that lighter guitar strings can be a bit more work to keep in-tune than their heavier counterparts. This isn’t always the case, but something you should be on the lookout for if you decide to switch. Since the strings are so thin, it’s easier to apply too much pressure when you press the string down. This can cause the note to go sharp a bit. So, despite your guitar being in perfect tune, your notes might sound sharp while you’re playing. Again, not guaranteed to happen, but just something to be on the lookout for. If it’s a problem for you, you may be able to fix it by simply using a lighter touch (which, it just so happens, will also help with your pain). Naturally, since the strings are really light, you’re more likely to break the thinner strings if you get crazy and bend a note too far. If that happens, this is another issue you can probably fix by simply being less aggressive. The thinner a guitar string is, the larger it’s vibrational arc. That leads to the potential for it to rasp against frets while it’s vibrating. This is why it can be harder to set up a guitar to be buzz-free if it has really light strings vs. heavier gauges. With acoustic guitars, it’s a fact that lighter strings will result in slightly reduced volume and “body” when playing purely acoustically (not amplified). This is one instance where the “better tone” argument holds some weight. Fatter/heavier strings do actually give an acoustic guitar a bit more volume and resonance. However, as I said: your health and comfort should be first priority. In reality, the minor reduction in volume will be barely noticeable to you. Focus on your health first, then later you can move to heavier strings if you wish. I’d love to tell you that switching to super light guitar strings will eliminate all finger and hand pain for you. They won’t. When it comes to building toughness and calluses on your fingertips, you’re always going to have some soreness during your first few weeks (or months) of playing guitar. And when it comes to other hand pain (due to arthritis or other medical issues), you really should consult a doctor if the pain doesn’t subside. 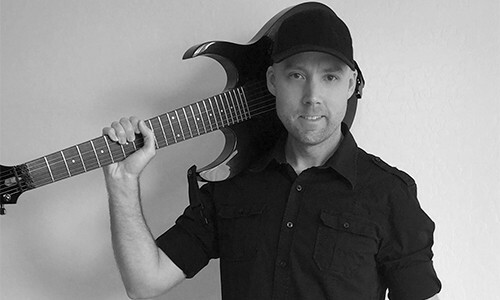 Also, be sure to check out my other article on this topic: 6 Ways Guitarists Can Reduce Hand & Finger Pain. Have you been struggling with sore fingers from playing guitar or some other type of hand pain? How do you deal with it? What have you tried? Have you ever tried lighter guitar strings to see if they helped? I’d love to know in the comments below. Also, if you know of some ultra light strings I didn’t include, please let me know and I’ll add them to the lists. 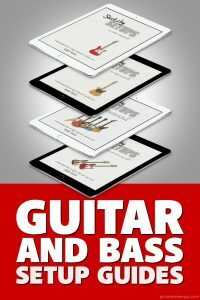 https://www.guitaranswerguy.com/wp-content/uploads/2016/10/hdr-sore-fingers.jpg 317 833 Guitar Answer Guy http://www.guitaranswerguy.com/wp-content/uploads/2015/11/logo_170x125.png Guitar Answer Guy2016-10-27 02:00:552019-03-29 06:29:16Fingers Sore From Playing Guitar? Don't Give Up. Lighten Up! Hi Bobby, nice post. Many years ago, my guitar teacher suggested I put electric guitar strings on my acoustic because they are easier on the hands. They were; however, they didn’t sound too good. I heard that dipping your fingers in alcohol can toughen them up, though I’ve never tried it myself. Hi Andrew! Yep, putting electric strings is one way to go. Of course the downside is as you said: they don’t sound very good. Electric strings are way too light, and aren’t made from the best metals for acoustic projection. However, great for building up calluses and working through the pain. I’ve tried the alcohol trick, but only for about 2 weeks. I didn’t notice a huge difference. However, I’ve heard that Clapton did this, so maybe there’s something to it. In fact, as long as you continue to play regularly, you’ll maintain your calluses and never have to worry about sore fingers again. Finger-tip soreness is one thing, and indeed you can avoid that by keeping your calluses built-up (by playing regularly). However, there are many other reasons guitarists can develop hand and finger pain–reasons that have nothing do to with calluses. I actually wrote a blog post on the topic of hand pain here: 6 Ways Guitarists Can Reduce Hand & Finger Pain.